As we develop a faith for our everyday lives, we especially want to extend that to our workplace — where we spend so much time and have such consistent contact with others. We may not realize it, but our employers, co-workers and customers can either be influenced, impacted by, imposed upon or annoyed by our faith. We may be the only Jesus they will ever know! 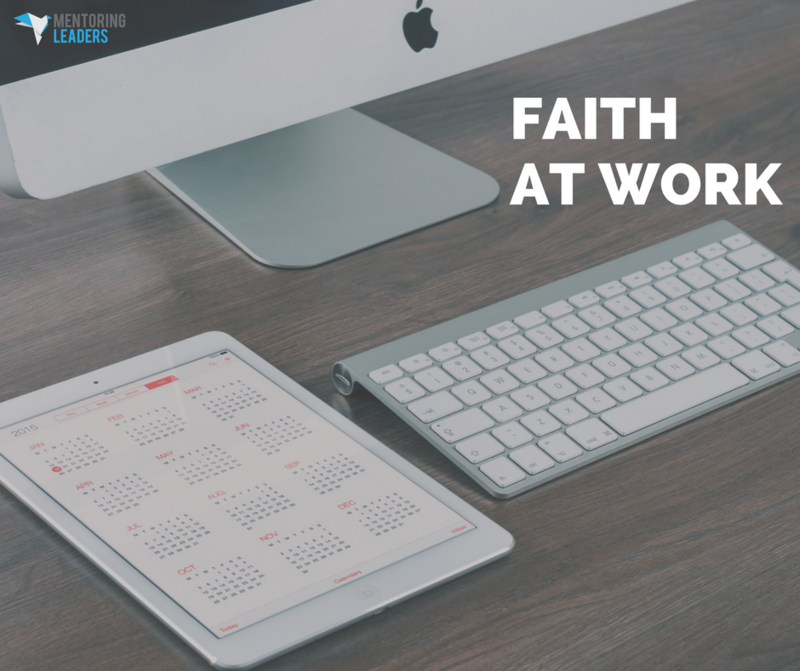 Let’s look at what the Bible says about turning our faith in Christ into an everyday faith at work. Let’s set a benchmark, a critical starting point for our discussion on everyday faith at work. “Work hard and cheerfully at all you do, just as though you were working for the Lord and not merely for your masters, remembering that it is the Lord Christ who is going to pay you, giving you our full portion of all he owns. He is the one you are really working for” (Col. 3:23-24). This is a critical foundation to set in place before anything else is said: It is the Lord who we are working for, so our goal is to please Him. Another part of this benchmark is the phrase, “work hard and cheerfully.” An important part of work is the spirit with which we do it. There are three priorities that will be like the three main gears that drive the engine of our work ethic. These three main gears will indeed help us to take our faith to the workplace in a practical way. God calls us to be a people with a spirit of excellence in all that we do. Psalms 8:9 says, “Oh Lord our Lord, how excellent is [your] name in all the earth!” This means that God is excellent, and since He created us in His image, we need to develop that same spirit of excellence. God says the righteous is a guide to his neighbor. He is saying to you that He put you in the workplace to be an example to those around you, to be a leader who sets the tone in the workplace. Set the tone of the office by your character, your personality and your countenance, by the way and spirit with which you speak. In everything that you do, do it with a spirit of excellence. “True heart” and “skillful hands” are two things that work in tandem, like pedals on a bicycle. If you are going to be someone whose faith is at work in the marketplace, you will need both. You will need competence and character to give you forward mobility. Who you are—your character—is a living testimony of what God can do in and through each human being. A “living testimony” means that you’re alive and moving around in the community, in your workplace, and others will see your faith through you. Our prayer is not only will they see a spirit of excellence, but also a faith that motivates all of that. In the workplace, your living testimony will have a lot to do with both your skill and your character. The Holy Spirit can move in a great way for revival to take place in your workplace. “Let your light shine before men in such a way that they may see your good work, and glorify your Father who is in heaven” (Matt. 5:16). God is going to give you a lot of things in life, but how will you steward these blessings? Will you use them for yourself or will you wisely use them for the Kingdom? Remember that it is not your boss who ultimately promotes you; God raises one up and brings another down. Ultimately, it’s God who gives you everything. God gives us worldly types of blessings to see if we are ready for them to be converted into eternal influence. “If you are untrustworthy about worldly wealth, who will trust you with the true riches of heaven?” (Luke 16:11). Can you steward God’s blessings? God will entrust to you something of purpose and hope so that you can give it to those in desperate need of a Savior, those people who are living without eternity or hope beyond the grave. That is why you were created, so do not miss out on who you really are. Our faith in the workplace starts with a spirit of excellence—this is the force that attracts other people to Jesus. Next, be a living testimony—live a life of integrity and honesty and love people until they ask why. And finally, steward His blessings in a way that introduces people to God.